At Chipping Norton Dental Practice, dentists in Oxfordshire, we take care of all kinds of patients who come to us for lots of different reasons. We pride ourselves on offering a solution to almost every problem you have, and will always help our patients with complete care and attention. From the moment you arrive at our dental practice, based in the heart of Oxfordshire, you will be greeted by our friendly receptionist and welcomed into the calm and peaceful atmosphere of our practice. During your consultation or treatment, our dentists will ensure to explain every part of the process involved in achieving whatever results you would like achieve. Whether it is to straighten your teeth using braces, or replace missing teeth using dental implants, or just to have your dental hygiene checked. We offer a large range of general and cosmetic dentistry, in order to make our patients' dream smile a reality. Find out more about the dental treatments we offer - here. If you want to spend some time getting to know us before you come to visit, why not visit the Meet the Team page? 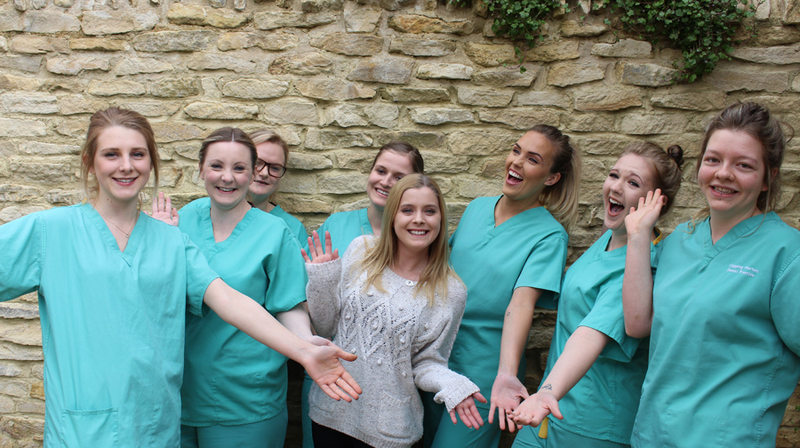 There you will find all our talented and caring dentists and staff who will make your visit to Chipping Norton Dental Practice a pleasurable one. As we have helped many patients improve their smiles over the years, they are often so thrilled with the results they allow us to share them with our other patients. To see some of these fantastic before and afters, take a look at our Smile Gallery. After you have had a look around our website, and (we hope) are ready to book a consultation, head over to our Appointments section and Email Us - or call us on 01608 646620.